I’d been working on another blog post today, but have just heard the sad and shocking news of Seamus Heaney’s death. Along with many others, I feel as if I have lost a friend. Seamus Heaney walked alongside us for many years — through his poetry, his activism, his human presence. The photograph above is one that I treasure. It’s a photo of my son, as we waited to hear Seamus Heaney read his poetry and weave his wonderful stories at the Cúirt Festival in Galway earlier this year. I hear Seamus’s voice in my head and my heart when I look at this photograph. Favourite poems leap to mind… Postscript, Clearances, Anahorish, Song, Helmet, Digging, Mid-Term Break, A Call, Blackberry-picking, and so many more. The poems and the poet weave connections among many loved ones… Mary Cronin, Pat Byrne, Elizabeth & Graham Stewart, Mary Loftus, Pam Moran, Ira Socol, Leigh Graves Wolf, Pamela O’Brien, Mary Ann Reilly, Ali, Jim & Deborah, Hamish, Sarah and James and many more. A rowan like a lipsticked girl. Stand off among the rushes. To the music of what happens. Lifelines, words, music, peace. Thank you for these and more, Seamus Heaney. Rest in peace. 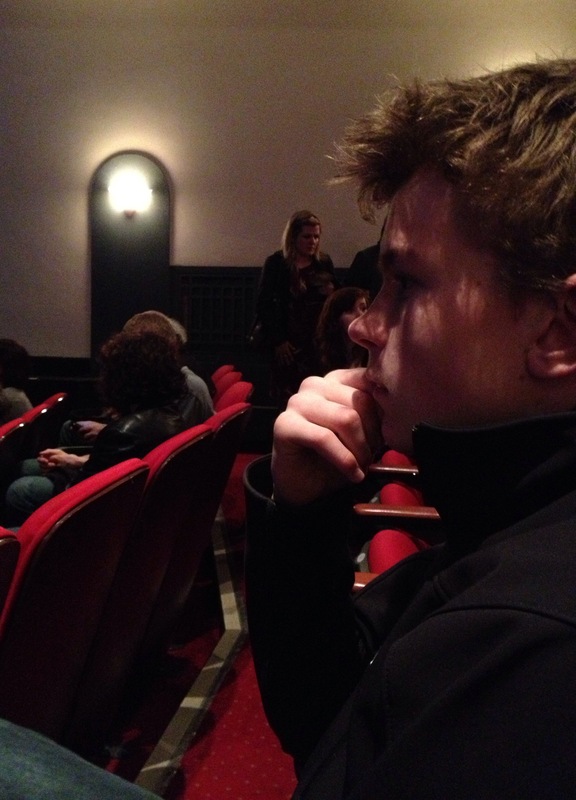 Love the image of your son and how his faces holds for us what so many feel/felt in anticipation of hearing Seamus Heaney. Thanks, Mary Ann. We talked today about the gift we shared, and of being able to hear Heaney’s voice still. Still so sad. Thank you for sharing this good web-site.